Legal bases of activity, procedure for establishing and functioning of consular offices of Turkmenistan, the appointment of their officers and employees, as well as the functions of consuls on safeguarding rights and interests of Turkmenistan, its nationals and bodies corporate abroad are defined in accordance with the Law of Turkmenistan “On Consular Offices of Turkmenistan Abroad.”Consular offices contribute to the development of friendly relations of Turkmenistan with other states, the expansion of economic, commercial, scientific, technical, cultural relations and tourism.Turkmenistan opens its consular offices in the countries with which consular relations are established.In the absence of agreements concerning the establishment of consular relations, the establishment of diplomatic relations is considered as the establishment of consular relations as well. Consular offices of Turkmenistan are opened and terminated by the decree of the President of Turkmenistan. A preliminary agreement on the opening of consular offices is based on bilateral interstate treaties, agreements and protocols.Consular offices in its activities are regulated by the Constitution of Turkmenistan, the current Law, other acts of the legislation of Turkmenistan, the universally-recognized norms of international law and international treaties towhich Turkmenistan is a party. Consular offices are includedinto the system of the Ministry of Foreign Affairs of Turkmenistan and are accountable to it for their activities.In the receivingstate consular offices operate under the general guidance of the head of the diplomatic mission of Turkmenistan in this state. The consular offices of diplomatic missions of Turkmenistan are managed by the head of consular departments who are called consuls general or consuls. In the states where there are no diplomatic representations of Turkmenistan, with the consent of the receiving state,diplomatic functions can be also assigned to consular offices. Consular offices of Turkmenistan,with the consent of the receiving state, can perform consular functions on behalf of the third state. The consular office of a foreign state can perform consular functions on behalf of Turkmenistan in the third state. The consular office of Turkmenistan, with the consent of the receiving state, and in the absence of objections of the third state can perform consular functions in this third state. Consular functions concerning bodies corporate and nationals of Turkmenistan. Consul is obliged to take measures so that national sand bodies corporate of Turkmenistan can be nefit from all rights provided by the legislation of the receiving state and international treaties to which Turkmenistan and the receiving state are parties, as well as international customs. Moreover, consulimplementsnotarialacts, consular legalization, consular fees. Consular functions include actions concerning the warships of Turkmenistan,the vessels of Turkmenistan,the civil aircrafts of Turkmenistan,sanitary, photo-medical and veterinary protection. Foreign citizens, stateless persons can enter to and stay in the territory of Turkmenistan on the basis of entry visas to Turkmenistan unless otherwise is provided by international agreements of Turkmenistan.The issuance of entry visasto Turkmenistan and the extension of the term of their validityfor foreign citizens, stateless persons is carried out in the following manner:in the territory of Turkmenistan - through the State Migration Service of Turkmenistan;outside Turkmenistan - through diplomatic representations and consular offices of Turkmenistan in foreign states. Categories and types of visas and the procedure for their registration, issue and extension of the term of their validity are regulated by the Law of Turkmenistan “On Migration” and other regulations of Turkmenistan. 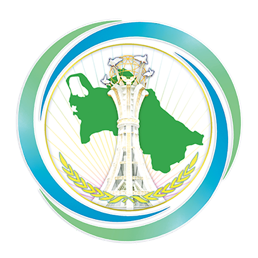 in case of arrival of a foreign citizen and stateless person in Turkmenistan without visaand stay in its territory, as well as in connection with cancellation or visa expiration - personal statement of these persons for the issuance of exit visa. Forms of requests and the list of the documents enclosed to the request shall be approved by the State Migration Service of Turkmenistan. and also after the expiration of the term of stay in Turkmenistan determined by other reasons. Individuals, bodies corporateand accepting organizations that invite foreign citizens, stateless personsare obliged to explain their rights and duties provided by the legislation of Turkmenistan in due time, toprovide the observance of the legislation of Turkmenistan by them andto take measures for their timely registration and paperwork on stay in Turkmenistan, the implementation of work activities, the movement within the state, on removal from the record in connection with the termination of the established period of stay in the state and in connection with their departure from Turkmenistan. The provision of consular relations of Turkmenistan with foreign states, the protection of the rights and legitimate interests of Turkmenistan, its citizens and legal entities abroad is coordinated by the Consular office – the structural division of central office of the Ministry of Foreign Affairs of Turkmenistan. Currently, two Consulates of Turkmenistan in the Islamic Republic of Afghanistan in Herat and Mazar-i-Sharif, the Consulate general of Turkmenistan in the Islamic Republic of Iran in Mashhad, the Consulate general of Turkmenistan in the Republic of Turkey in Istanbul function in accordance with the Law of Turkmenistan “On Consular Offices of Turkmenistan Abroad.” Consular offices include consular departments of diplomatic missions of Turkmenistan abroad. They protect the rights and interests of Turkmenistan, individuals and bodies corporate of Turkmenistan. Consular officials, within their competence, act as notary and civil registrar andalso legalize documents and various statements made by the authorities of the consular district or proceedings from these authorities. Along with the protection of the rights and representation of legitimate interests of citizens of Turkmenistan abroad, they inform them on the existing laws and stay rules in the receiving state, make necessary recommendations, take appropriate measures to ensure security in emergency situations. The legal status of citizens of Turkmenistan abroad is defined, first of all, by the legislation of the receiving state. The provisions of consular conventions and agreements on legal aid on civil, family and criminal cases are also of great significance. Turkmen citizens may apply to the diplomatic missions and consular offices of Turkmenistan abroad to reclaim required documents. In cases where the required document of a citizen is in the territory of Turkmenistan, the following procedure of claim is applied.The person concerned addresses to the diplomatic mission or consular office in the state of his residence and fills two copies of the application form foreach claimed document and pays the appropriate visa fee.Filled request is sent by a diplomatic mission or consular office through the Consular Office (CO) at the Ministry of Foreign Affairs of Turkmenistan in appropriate archival institutions in the territory of Turkmenistan. After searching, archival institutions return requested documents to the diplomatic mission or consular officethrough the CO of the Ministry of Foreign Affairs of Turkmenistan. In cases where the search of document is not possible, archival institution shall inform the applicant through the CO of the Ministry of Foreign Affairs of Turkmenistan.Originals of passports, work books, military cards are not subject to a claim, sending abroad. If necessary, references on length of service and military service can be sent abroad. Red Crescent Society of Turkmenistan. People living in Turkmenistan, Turkmen citizens can request the CO of the Ministry of Foreign Affairs of Turkmenistan for the claim of documents from other states.The claim procedure depends on the completeness of the input data and the requirements of the legislation of the state ofthe origin of the document. It should be taken into account that the claim of documents from abroad requires a long time. Legalization is a proof for the document emanating from the authorities of the state or compiled with the assistance of the authorities and consistent with the law of that state. It lies in the authentication of signature of the person signing the document and the seal of the authorized state body.In accordance with international practice, there is no need for the legalization of passports and substituting documents.The documents and acts that are contrary to the laws of Turkmenistan or its content may harm the interests of Turkmenistan or contain information discrediting the honor and dignity of citizens, as well as the originals and copies of passports, work books, military cards, identity cards, the ownership of the property, documents that are directly related to commercial or customs operations (accounts, documents on the movement of goods across the border, the agreement for the supply of goods, customs declarations, etc.) are not subject to legalization. Legalization of documents for use abroad. The CO of the Ministry of Foreign Affairs of Turkmenistan confirms the authenticity of the seal of the Ministry of Justice of Turkmenistan and the signature of the official. After the legalization of the CO of the Ministry of Foreign Affairs of Turkmenistan, the documents are legalized at the diplomatic mission or consular post of the state where they are used. In addition, a foreign consul confirms on the basis of its existing samples of the authenticity of the signature and the seal of the authorized officer of the CO of the Ministry of Foreign Affairs of Turkmenistan.Documents are legalized in notarized copies. The exception is education documents for use abroad, whichare legalized in the Ministry of Foreign Affairs of Turkmenistan in the original.Consular fee will be charged and collected on the account of reimbursement of actual expenses for the completion of legalization in the CO of the Ministry of Foreign Ministry of Turkmenistan.The legalization of foreign documents for the execution in the territory of TurkmenistanForeign documents intended for use in the territory of Turkmenistan are legalized by diplomatic missions or consular offices of Turkmenistan abroad after the legalization at the Ministry of Foreign Affairs of Turkmenistan, or otherwise authorized body of the state of origin of the document.Documents of foreign countries brought to Turkmenistan without legalization in diplomatic missions or consular offices of Turkmenistan abroad are legalizedby diplomatic representations of a foreign country in the territory of Turkmenistan where they were made and then by the CO of the Ministry of Foreign Affairs of Turkmenistan.Bilateral agreements on legal assistance and legal relations in civil, family and criminal cases, prisoners in Turkmenistan, as well as the Convention on Legal Assistance and Legal Relations in Civil, Family and Criminal Matters, signed on January 22, 1993 in Minsk by CIS member states, determine the order, in accordance of which the documents issued by the official authorities of a contracting party shall be regarded as official and use in the territory of the other contracting party by probative value of official documents without any additional license, i.e. without legalization. 3. The consular record and registration of citizens of Turkmenistan abroad. In accordance with Article 29 of the Law of Turkmenistan “On Consular Offices of Turkmenistan Abroad,” diplomatic missions and consular offices of Turkmenistan abroad implement the record and registration of citizens of Turkmenistan who are in the territory of their consular district. Turkmen citizens who are outside of Turkmenistan have the right to register (up to consulate) in the diplomatic mission or consular office of Turkmenistan.Registration of citizens of Turkmenistan is free.The CO of the Ministry of Foreign Affairs of Turkmenistanstrongly recommends to use this opportunity. While not binding, this procedure allows to solve many problems without having to travel to Turkmenistan (provision of information about the upcoming elections and referenda, registration certificates, registration of acts of civil status, etc. ), as well as facilitate return tothe homeland in the event of the war,riots or natural disasters in the receiving state.In order to have a consulate record in the diplomatic mission or consular office of Turkmenistan, you should fill an application inthe prescribed form.While registering, a note is made in a passport: “Registered in ... (the name of the consular office of Turkmenistan and its location),” date and signature of the person who is registered.